The first three months of 2019 have proved a very busy time for Bosleys, which have had four “Life Time” collections consigned, plus a number of small family inherited consignments. Collections included an import regimental collection of King’s Liverpool Regiment, this covers, badges, medals, uniforms and headdress. 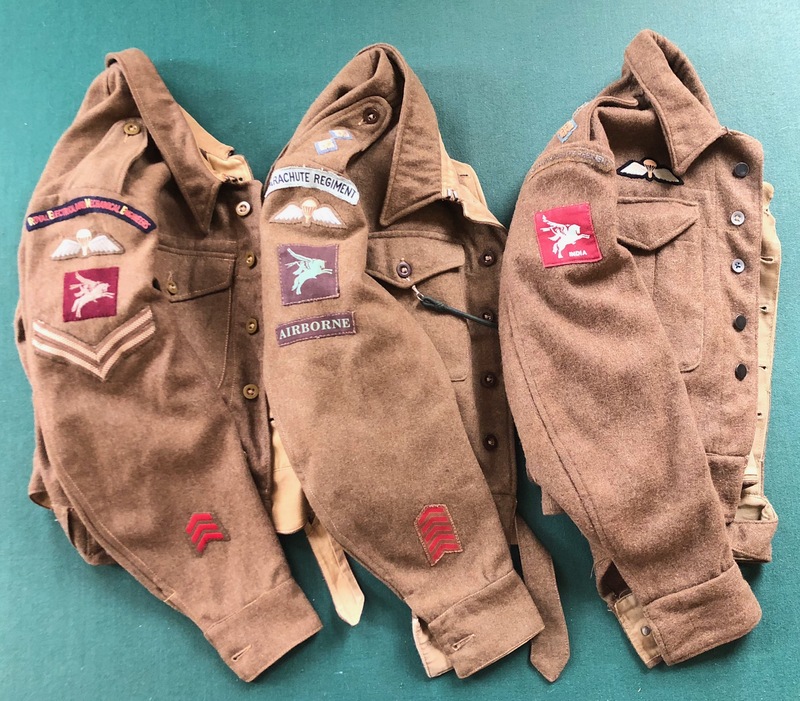 WW2 Airborne collectors will not be disappointed with a large part of a life time collection devoted to this subject, including a very rare REME Airborne battledress, this bearing the 21st Independent Parachute Company unique pattern of REME shoulder titles. An early 1942 dated leather harness Airborne helmet is complemented by the later canvas harness example with the date 1944 and Commando collectors will be interested to know the sale will include a D-Day full battle jerkin. The third collection includes a fine selection of British pattern swords, with example of the Household Cavalry 1814 pattern, Household Cavalry Troopers 1808 pattern and remaining with the Waterloo period a 1788 Heavy cavalry Trooper’s sword to name a few. The final collection can be classified as a “Hoard” Collection, these often prove interesting and surprisingly diverse; this including a rare Victorian 6th Denbighshire Rifle Volunteers Officer’s Sword to a WW2 Kriegsmarine Sailors side cap, also an untouched period Great War battlefield pick up Bavarian bugle. Medal collectors will find the “Many” of Bomber Command remembered with DFC & Bar group awarded to a pilot of the first Bomber Command raid over Germany of the war on the evening of the 3rd September 1939, a fine DFC group with log book and no fewer than three Distinguished Flying Medal groups, with an extra example thrown in which was awarded for gallantry on the North West Frontier in 1919. Family consignments include an Officer’s King’s Dragoon Guards scarlet tunic with a 1912 pattern officer’s sword by Wilkinson, and an interesting grouping of Far East maps etc carried by an Officer of the war raised 25th Dragoons. A selection of WW2 German daggers and badges represent “War Booty” souvenirs. 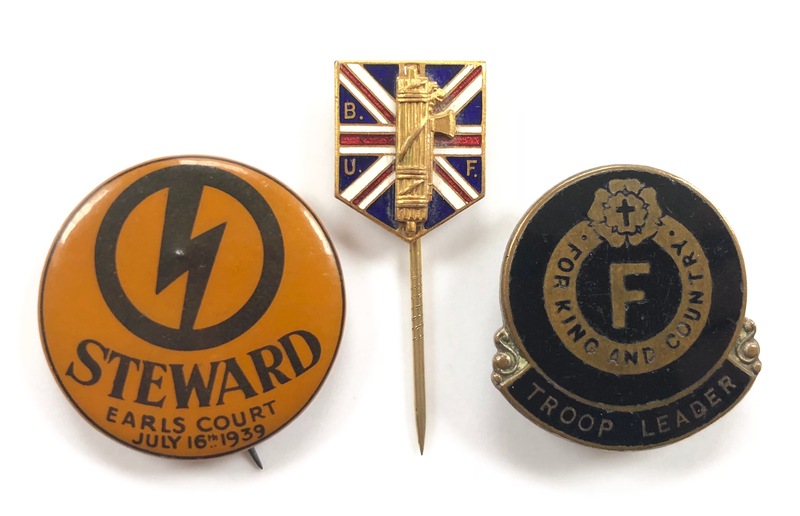 Remaining with fascist organisations is a number of British of Union of Fascists badges which included a 1939 Earls Court Stewards badge and a rare Troop Leader’s example.